October was a very busy month for me at my day job, and with preparing for a conference and research trip to Texas, so I neglected to share this earlier. 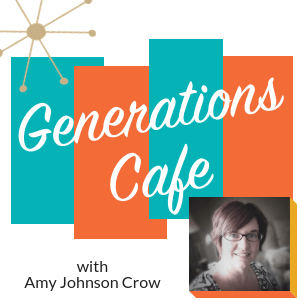 I had the pleasure recently of joining my colleaguem, genealogy educator Amy Johnson Crow, on her new podcast, Generations Cafe, to share some of my key tips for researching Mexican ancestry. Access: Listen to the podcast from Amy’s website, or using the podcast app on your smartphone. Not familiar with podcasts or how to access and subscribe to them? Amy provides instructions on her website.